“Welcome! Please relax and have a seat.” Women smiling gently were serving coffee and there was full of joyful chatting. Not just smiles, but bright yellow aprons and the soft colored orange roof written Ateraano Asahi seems to welcome people happily. It looks like a kind of place lighting up the small, quiet neighborhood of Asahi-machi. Masako is president and founder of Ateraano Asahi. It has been running since May 2007 and plays an important role connecting people who live in Asahi-machi. Nowadays, Kochi’s increasing population aging is considered a serious problem. It is 10 years ahead of the whole country in Japan. According to the Kochi prefecture office, by 2020, Kochi’s aged population will be 34.6% compared to the national population of 29.2%. Even now, Kochi has the second highest rate in Japan. What makes this even worse, is the high number of solitary elderly people (older than 65 ) in Kochi (12.7%), compared to the national rate (7.9%), also in second place nationally. The data of population aging rate shows that among eight of the fifteen sections of Asahi town, more than half of people over 65 years old are living alone. Also, according to the Kochi prefecture public-opinion, 55.8% of people who live in Kochi think that social connection and support are getting weaker. The shopping area where people used to meet daily is all but a memory. Books, cloths, accessories, honeys, fresh vegetables…in Aterano Asahi, there is a booth filled with various kinds of things. The poverty issue among isolated elderly people is also considered as a serious problem. Aterano Asahi delivers more than a hundred handmade box meals (obentou) for lunch and dinner all 365 days a year. Also, they provide housework support such as cleaning, shopping, cooking, and even driving folks to the hospital. These activities are key to those who can’t live by themselves because of physical or mental reasons. “Please help. My friend is becoming more and more thin, but I don’t know what to do.” said one man. There was an elderly lonely living man with dementia. Due to dementia, he tended to spend his pension all at once and couldn’t have stable meals. No one noticed and was not able to help this man. However, thanks to the obentou delivery, the elderly man was able to continue to live an independent life. Today also Aterano Asahi is bringing fortune and lighting up Asahi-machi, little by little. It was good story! I’m impressed how people work together to make their lives better and happier. I hope places like this will increase. 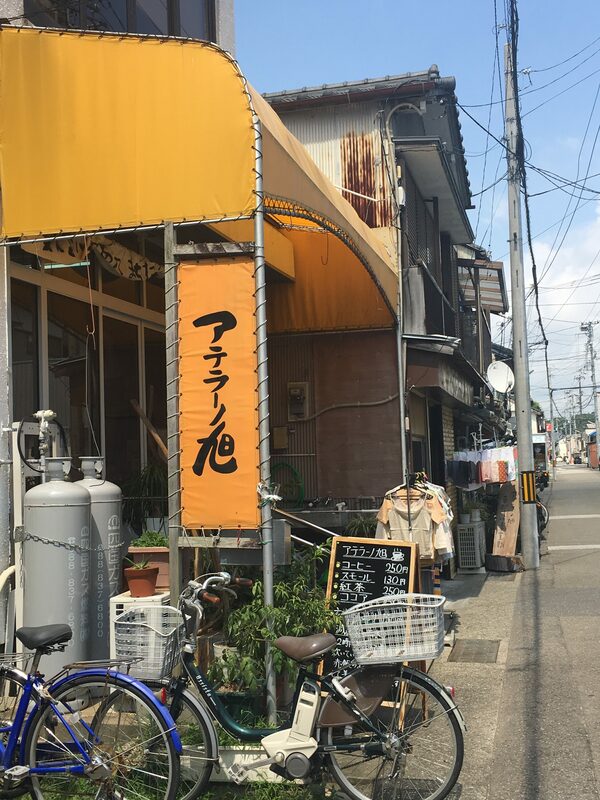 Aterano Asahi is important place for elderly to have chatting and meeting friends. I thouht young people should take over this kind of good place and cotinue. I think Aterano Asahi is working to maintain old peoples’ well-being because loneliness is a big stressor for us to live well. Aged care now becomes the big issue in Japan. The youth and middle-age people should always stay close to those people. That is a one thing we can do to represent our respects. I learned how gentle-hearted they are. And it must help to search. It is so good! The effort is very effective for elderly people. They have a lot of oppotunities to talk with others. There is no need to feel lonely. Wow! Aterano Asahi is really nice place!! Through this article I’m glad to know about Aterano Asahi. Good story! This community for elder people is important. Happy article. It is important for elderly people to make some connections. Aterano Asahi continue to have an important role in the future. Obentou delivery is very helpful for them. I think that it’s very important for us to help each other. Aterano Asahi is filled with kindness. This story touched my heart!